One of the most anticipated video games of the summer is about to debut in stores. And it does with some changes regarding its successful titles predecessors of the saga. ‘Uncharted: The lost legacy’ (PS4) seeks to keep alive the flame of the saga, but with a change of protagonists. ‘Uncharted: The Lost Legacy’ (exclusive for PlayStation 4) is a video game completely independent of the saga that retains the essence and characteristics of previous titles, but that is far from the classic protagonists. 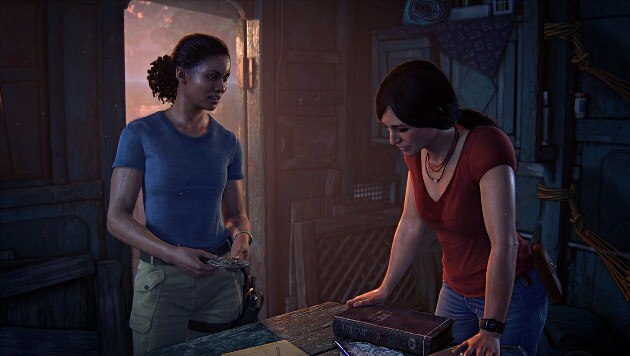 This time, it will be Chloe Frazer and Nadine Ross, two old acquaintances, who carry the weight of the action. The mechanics of the game change little: a modern graphic adventure, where it is played in third-person and whose history is, as in each episode, fascinating. Chloe and Nadine, despite their almost irreconcilable differences, will be forced to work closely on this new installment that moves the player, with a careful graphic and artistic appearance, to the Indian landscapes in search of the tusk of Ganesh, an ancient and powerful object that is also sought by Asav, the new villain who will have to face the two fierce protagonists. Conversations, mysteries, objects, challenges and combats come together again in this adventure, which the accustomed of the saga will quickly recognize. In spite of the loss of its habitual protagonist (Nathan Drake), the duet of women pilots that this adventure also has her grace, and could give joy in the future. In fact, the game was first presented as an extension of Uncharted 4. Finally, however, it deserved to have its own title. The game also extends the game options, placing the protagonists in a semi-open world in which there will appear to be the freedom of movement, but always with a line of frame that establishes the path. Because that’s the grace of the Uncharted saga: transporting the player to faraway lands with an action-packed adventure where history, in this case, it is also important.